The Swiss population will be the first in the world to vote on their banking and monetary system, thanks to the tireless efforts of a pro-Sovereign Money campaign. The dramatic collapse of young economies in the world are the first signs announcing the crash of the world financial system. The debt tsunami is rolling . It will lead to an inflation of anger against those whose goal is the exploitation of the world. The end will be painful, says Marc Faber. Christine Lagarde speaks about the breaking of a dam, against which defense lines need to be built up. But the attackers act in self-defense; millions of people are starting to rebel against the financial system. The situation is changing. Caption: Revolutions always break out when those in power believe that they can lever a piece of bread into a piece of cake ( leverage). 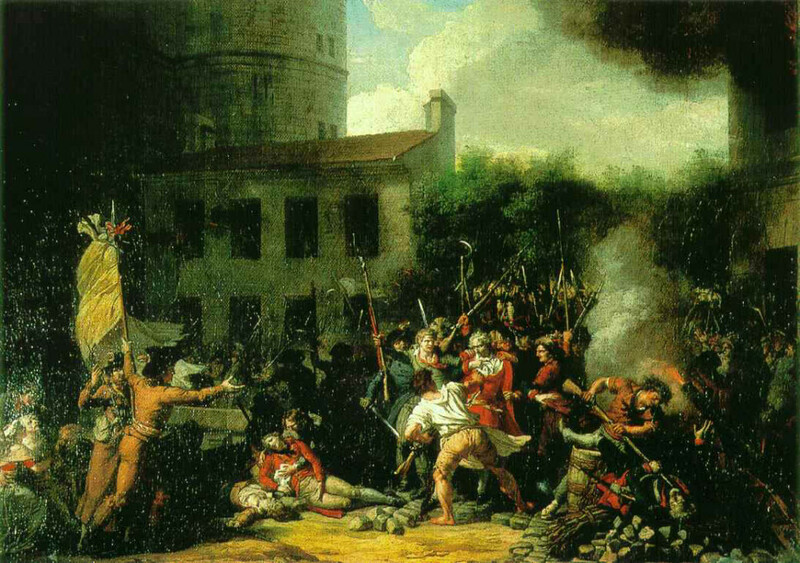 The storming of the Bastille in 1793 , Charles Thévenin . Have The Russians Already Quietly Withdrawn All Their Cash From Cyprus? Euro, Bruxelles confirm: they are cheating us! Finally comes the reply to the parliamentary inquiry submitted by MEP Marco Scurria on the legal nature of ‘€ uro, and finally comes the confirmation: we are cheating. There have always cheated. First things first. Marco Scurria asked for clarification on the answer given by the European Commission to the first parliamentary inquiry on the legal ownership of the euro presented by MP. Mario Borghezio, which said that during the issuing bank notes belong to the Eurosystem, while in the phase of the movement belong to the owner of the account on which they are charged. Be careful because the words in official acts and in the techno-eurocratic language must be well weighed. So the commissioner Olli Rehn answered Borghezio that the ownership of paper notes (which are well imprinted in every language of EU the initials of the European Central Bank) is the Eurosystem. But what is this Eurosystem? “The Eurosystem comprises the ECB and the NCBs of those countries that have adopted the single currency. The Eurosystem and the ESCB will co-exist as long as there are EU Member States outside the euro area.” This is the definition that you read on the official website of the ECB. So the national central banks print notes and take possession of their nominal value (eg whether to print a business card 100 has a physical cost for who coined by 0.20 cents – intrinsic value – NCBs are also appropriating of the value printed on the ticket). Can the Commission clarify the legal basis upon which is based this statement?